Jesus is God's Eternal Son, and He has precisely the same nature, attributes and perfections as God the Father and God the Holy Spirit. Jesus is not only the true God, but the true human (for sinful man's redemption) conceived by the Holy Spirit (devoid of sinful and corrupt human sperm) and born of the Virgin Mary. Jesus led a sinless life on earth and gave His life to atone for the sin and the consequences of the sin of men for His righteous life, walk and deeds. He was buried but broke the power of death and the grave and rose from the dead on the third day. 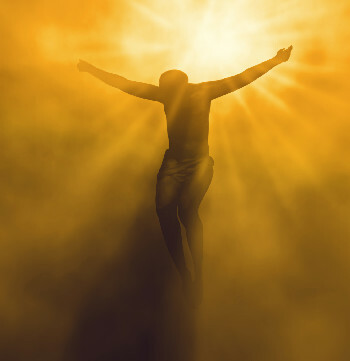 He ascended into heaven from where He came, on the fortieth day of His resurrection. Presently, He is seated on the right hand of His Father God, making intercession on behalf of all those who are saved from sin by Him as well as sinners who need salvation. He will come back again to earth in His personal, visible form to judge all the earth. Jesus alone is the pathway to Heaven! Jesus is more than a Prophet, Teacher, and a Good Man as some people claim. He is God in whom all things consist and without him there can be no real, meaningful and peaceful life. Jesus is the sole foundation of true knowledge, wisdom and understanding. Jesus existed in eternity before anything visible or invisible was created. He existed before any of the founders of the Religions and cults of our time were born. All powers, good and evil are subject to Him, including Satan and all of his hosts who are the arch enemies of God and man. People and Nations, who reject Jesus, His Divinity, His Teachings and Pre-Eminence over both the Spirit and Physical worlds, make themselves a wreck. To have Jesus is to have everything that pertains to Life and Godliness.